While staying at Arthouse Hotel, you’ll find many of the best restaurants in Liverpool right on your doorstep. Since you may find yourself spoilt for choice, we thought we’d narrow it down with our top recommendations. 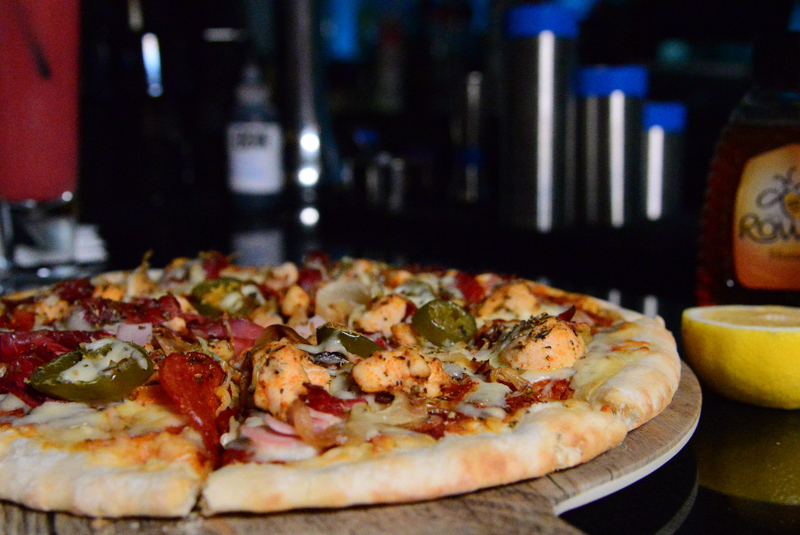 Each of our choices is within walking distance from the hotel, so why not stop off for a bite to eat before exploring Liverpool nightlife? Sitting moments away along dynamic Seel Street, the dazzling decor and delicious dishes of Blind Tiger await. 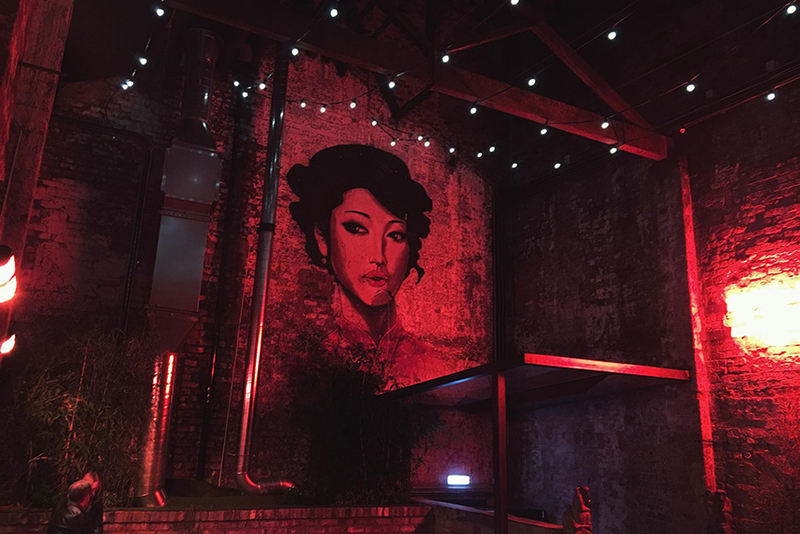 With a stylish speakeasy feel, this unique bar and restaurant offers full table service, live music and an extensive Dim Sum menu. Blind Tiger is also renowned for hosting talented live musicians for an atmospheric dining experience. 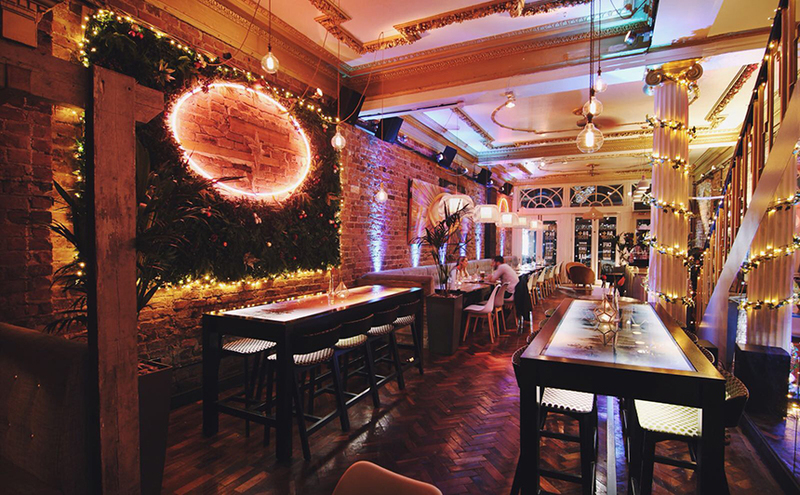 Alma de Cuba is one of Liverpool’s best-loved spots to wine and dine in the city centre. You’ll find the historic gem along Seel Street, within the spectacular walls of a former church. Perfect for those with a cultured palette, Alma de Cuba boasts an eclectic menu, showcasing the fantastic flavours of South American cuisine. By night, the ground floor of Alma offers a carnival-style experience, from sparkling Samba dancers to their famous petal shower. You’ll find the twinkling lights of Dia + Noche amongst the row of independent gems on Bold Street. This charming restaurant is one of the newest additions to Liverpool’s dining scene, and it’s certainly made quite the impression. Serving up delicious lunch by day, this stylish space transforms into a stylish tapas and cocktail bar by night. You can choose from a range of tasty nibbles and main courses as you soak up the atmosphere. Chicha – Peruvian Street Kitchen is another of Bold Street’s independent favourites. 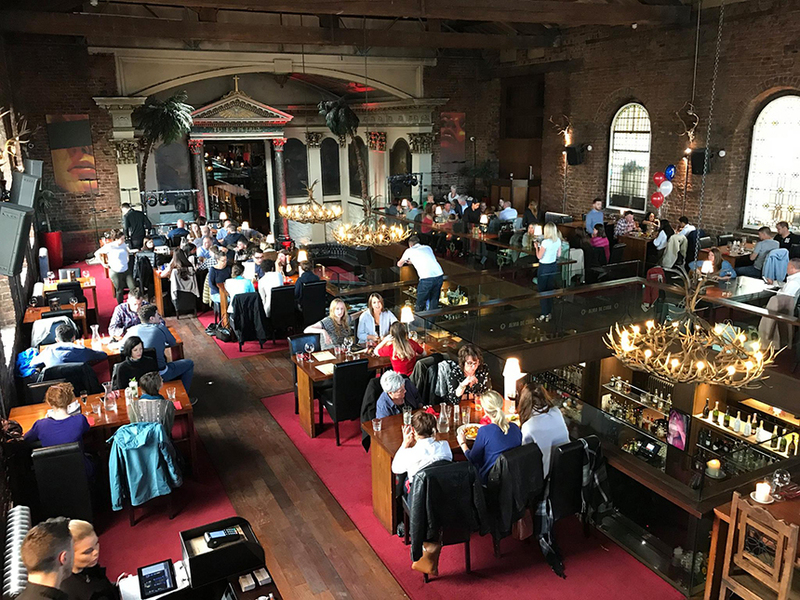 Since opening its doors in 2016, the South American inspired spot has become a firm favourite for delicious food and drink. 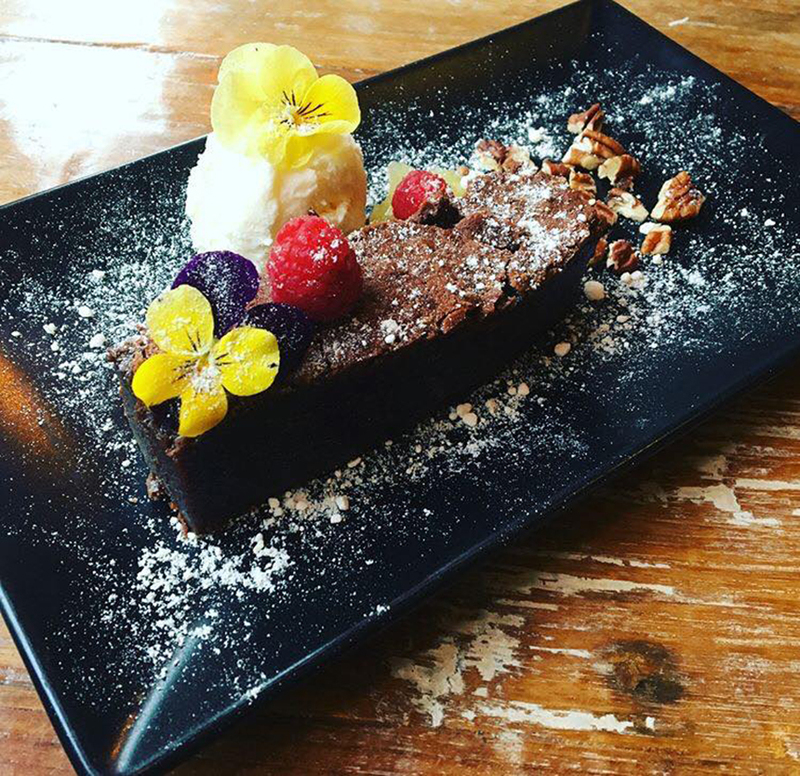 Whether you opt for a refreshing plate from the Veggie Bar, browse the MeatFeast section or try a delectable dessert, Chicha’s colourful menu is bursting with flavour and choice. 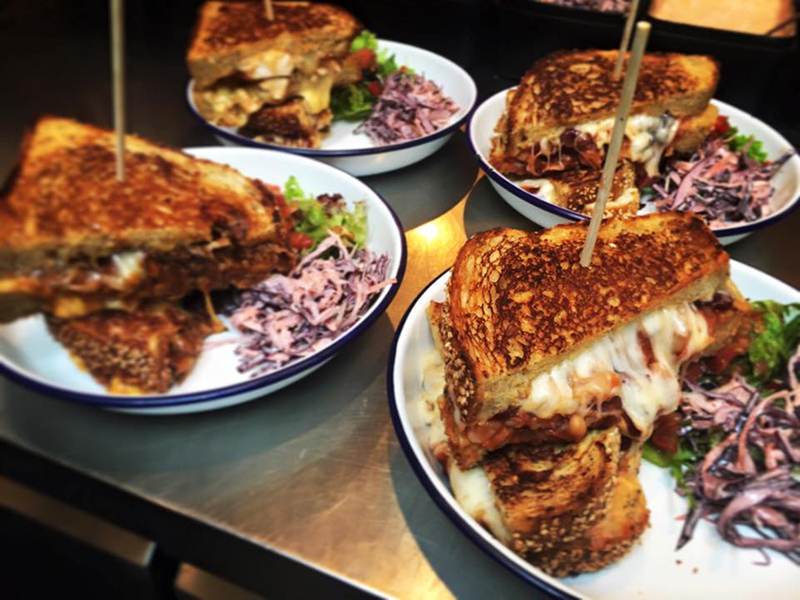 Perfect if you’re feeling a little worse for wear after a big night out, NoLita Cantina doesn’t do anything by halves! Inspired by American Bistros with the feel of a New York deli, you can look forward to plenty of indulgence. Treat yourself to a huge helping of meat with a hearty burger or sandwich overflowing with silky cheese. Veggies don’t have to worry as there’s also a great selection of vegetarian options guaranteed to hit the spot. Capturing the essence of summertime bliss, La Finca Evissa will brighten up any day of the week with a taste of Ibiza. 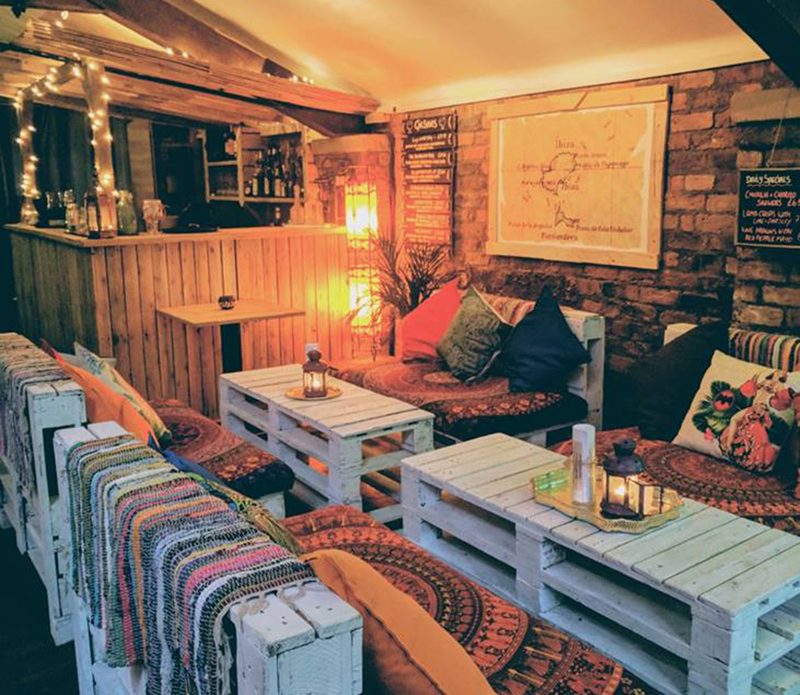 Serving a fusion of Spanish-Mediterranean tapas, this eclectic spot is perfect for enjoying a bite to eat before the party begins. Look forward to the best Ibizan cocktails and enjoy a warm reminder of the White Isle. You’ll find La Finca right next to Arthouse Hotel. Bringing Liverpool an authentic slice of Italy, don’t miss a visit to Villa Romana during your stay at Arthouse Hotel. Serving traditional Italian dishes in a charming, rustic setting, Villa Romana showcases the best of home-cooked Italian food. 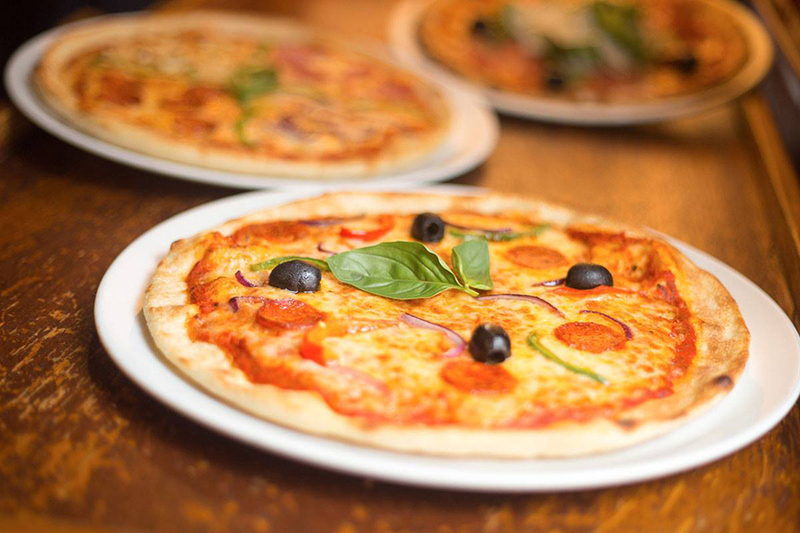 Their extensive menu ranges from delicious Neapolitan pizza to fresh pasta, grilled and pan fried meat, fish dishes, antipasti and speciality breads and salads. What better way to start a night of wining and dining? 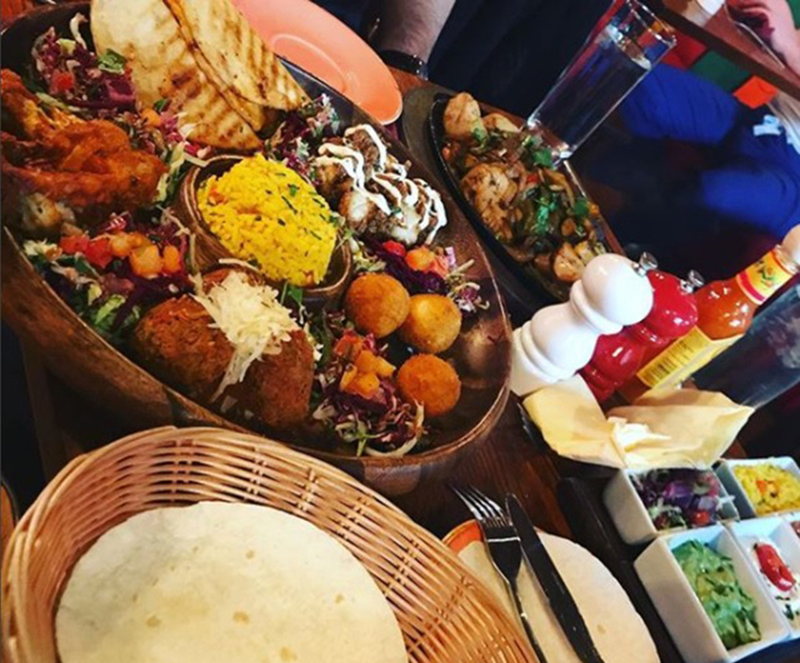 Serving up classic Mexican cuisine and char-grilled meats, look no further than La Parrilla for authentic food and drink served with a feel-good atmosphere. Their mouthwatering menu features a huge range of Mexican favourites. And you’ll be pleased to know their portions are just as impressive. Choose from flavoursome burritos, golden chimichangas, impressive sharing dishes and much more. Oh, and you’re more than likely to end up in a sombrero! To enquire further about staying at Arthouse Hotel, you can reach our friendly team on 0151 601 8801. In the meantime, why not check out our latest offers? 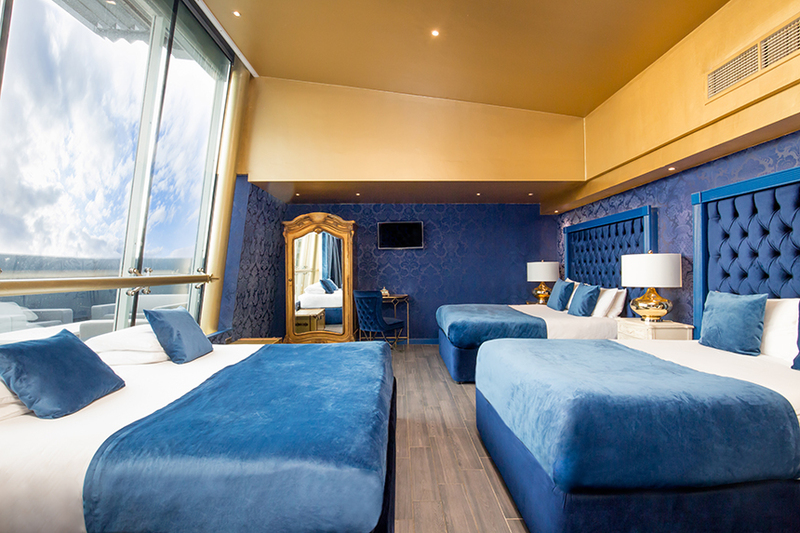 If you’re looking for Christmas hotel rooms in Liverpool, then look no further than our magical Skyline Suites. And what better way to celebrate the Christmas season than a stay in the Skyline Suites? Celebrate the festive season like never before with your very own party space. Whether you head out for a night on the town or choose to keep the fun within your suite, it’s entirely up to you. If you’re in a smaller group, you’ll still find yourself with plenty of space and flexibility. Fitted with everything you could wish for, you’ll be able to keep the drinks flowing with your own private bar. 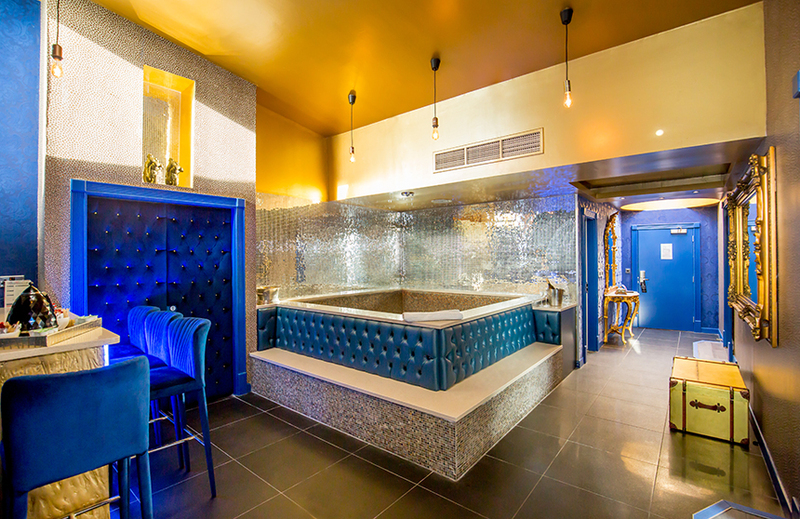 Not forgetting, you can toast to the night ahead as you sink into your large whirlpool bath, perfect for pampering before you head out. A fusion of royal blues and quirky neon lights creates the perfect party atmosphere. They couldn’t be the Skyline Suites without a view of the Liverpool skyline! 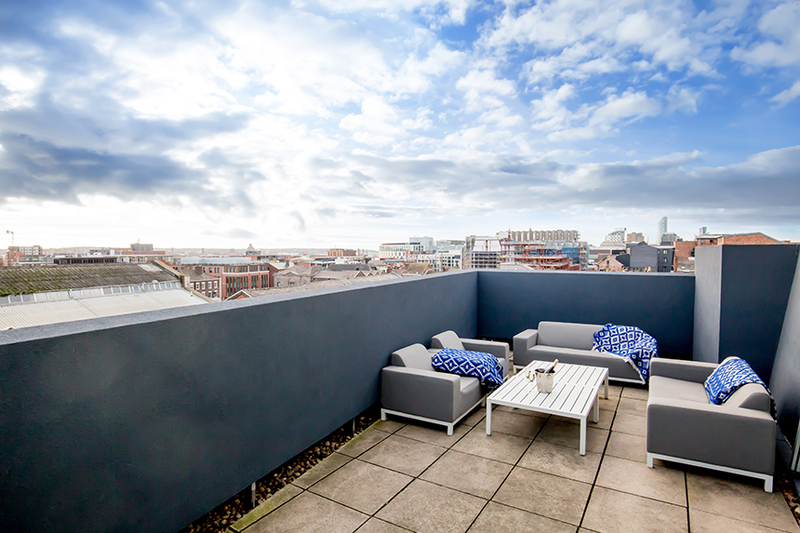 Step out onto your terrace and look out across the city as you take in unrivalled views across the city centre. Take some festive snaps with the ultimate backdrop as you raise your glasses to the Christmas season. You’ll find Liverpool’s leading bars and clubs only moments from your doorstep, so you won’t need to worry about transport around town. The quirky bars of Seel Street and Berry Street are all within walking distance. And our very own Mulholland Bar is right within the building! This fantastically festive package includes entry, entertainment, pizza, a side & 3 drinks tokens for the bar. At Mulholland Bar, we don’t do anything by halves! So you can expect the most extravagant Christmas celebrations. 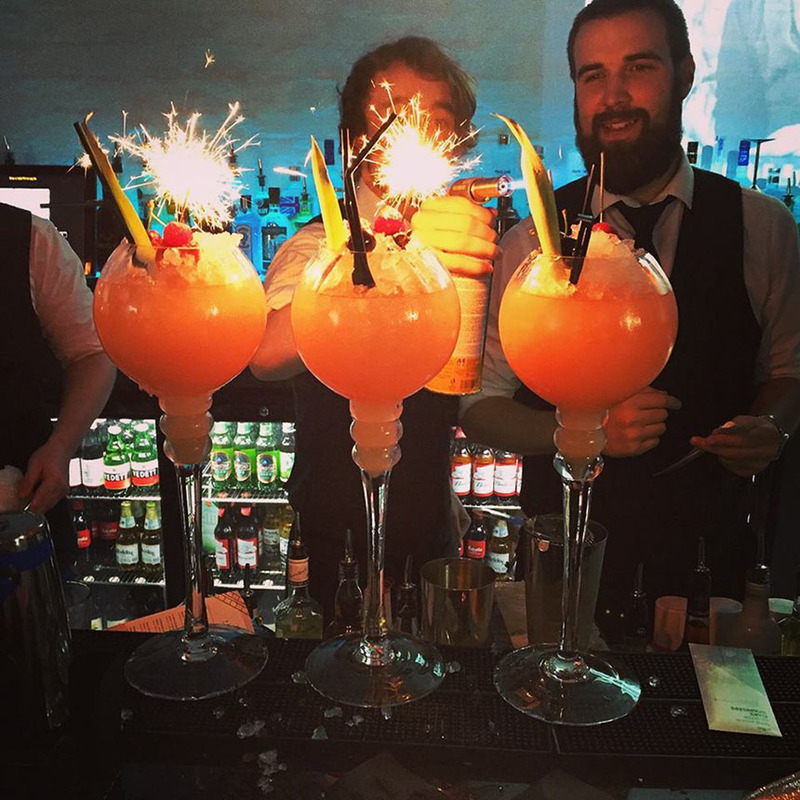 Treat yourself to one of our eclectic cocktails or tuck straight in to our festive menu, designed with a special twist. Forget what you’ve experienced before; our festive feast features only the the most indulgent of treats. 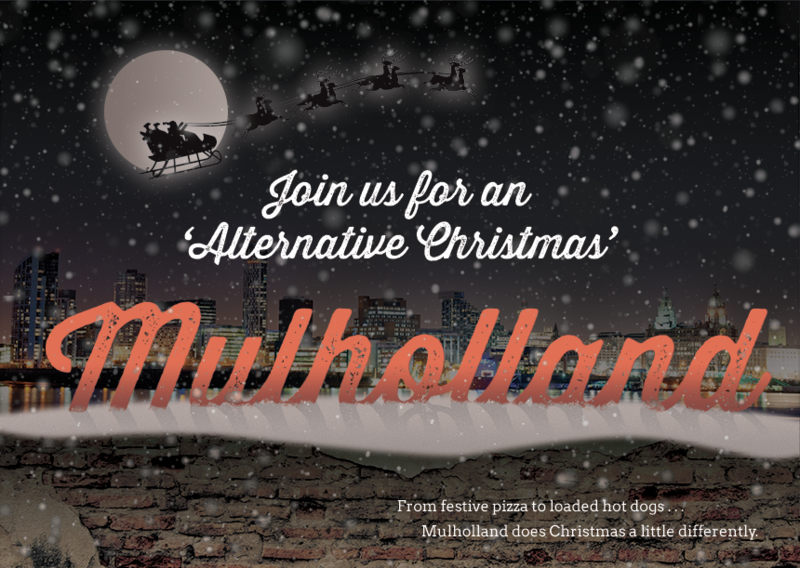 This year, ‘we’re introducing our Christmas themed pizza and hot dog menu, guaranteed to get you in the party spirit! Take on the challenge of our loaded hot dogs, topped with everything from American mustard and sprouts to brown sauce and red cabbage. The Dirty Santa pizza is topped with tasty turkey breast, chipolata, sliced sprouts, basil and sage and onion stuffing balls. You may also want to try the Dead Rudolph topped with air dried venison and cherry tomato or This Little Piggy with sliced chipolata and bacon. Trust us, Christmas parties will never be the same after you’ve experienced one at Arthouse. With Mulholland right below our Skyline Suites, it’s the perfect set up for keeping everyone together and avoiding the hustle and bustle of town. If you’d like to book the most merry Christmas party night ever, you can get in touch today on 0151 601 8801. Alternatively, you can email us with any questions you may have on info@signatureliving.co.uk. We look forward to hearing from you very soon. We’ll get the bubbly on ice!